For most bands, the road to success involves writing a good album, getting noticed for it, and continuing to put out a string of follow-ups that play around with similar themes, often falling back on a sound that doesn’t venture too far beyond the constraints of its particular genre. But for a band like The Wedding Present, changing it up is not only a way of keeping things interesting; it’s inevitable. And one only needs to look at the roster of more than a dozen former members to understand exactly how the sound is reinvented from album to album. He went on to liken these changes in personnel to moments of rebirth for The Wedding Present, with each evolution resulting in a new start. And overall, he’s found that the change is a positive thing, allowing the band to explore a range of styles. The band first formed nearly 30 years ago in Britain, with Gedge at the helm. Today, the lineup also includes Patrick Alexander, Katharine Wallinger, and Charlie Layton. And while it’s clear that The Wedding Present “belongs” to Gedge in a sense, he is quick to dismiss any notions that it’s a solo project. Long-time fans of the band will note that The Wedding Present essentially broke up, or went on hiatus, in the late 90s. When that happened, Gedge began what he refers to as his real solo project, Cinerama, with his then-girlfriend. Unavoidably, fans would show up to gigs hoping to hear songs from The Wedding Present, and their persistence ultimately paid off when, in 2004, Gedge opted to bring The Wedding Present back. The group differentiated itself from many other band reunions in that The Wedding Present went on to record and release new music, as evidenced by Take Fountain (2005), El Rey (2008), and Valentina (2012). In the time since reforming, the band has also not only played new music, but toured old albums exclusively. This first occurred pre-hiatus, in 1997, when the group celebrated the 20th anniversary of 1987’s George Best. It was followed up with a tour of 1989’s Bizarro in late 2011, and 1991’s Seamonsters just last year. “We’re kind of working our way through them again now,” Gedge shared, pointing to the band’s current leg on the road as example. Back when the band came up with the idea to release 12 singles, each accompanied by a cover, the media were all over it. In fact, it even earned the band a place in the Guinness Book of World Records, having equaled Elvis Presley’s record for having the most hits in a single year. But, as Gedge explained it, the idea alone seemed to garner more attention than the songs themselves. After the tour, it’s anyone’s best guess what will happen again – whether The Wedding Present comes out with a new album or tours an old one. However, Gedge did mention that he will return to solo project Cinerama, which has plans to reinterpret and re-record Valentina. In addition to allowing him to get creative on the solo front, the project will provide Gedge with a break from touring, and it’s this rotating, cyclical nature of being a musician that he said he enjoys. “I think as soon as you ever get bored of one aspect of it, here comes the next one to kind of take your mind off of that really,” he said. But while he welcomes to break from being on the road, he did admit that, when forced to pick a favorite, shows are what he loves best about it all. 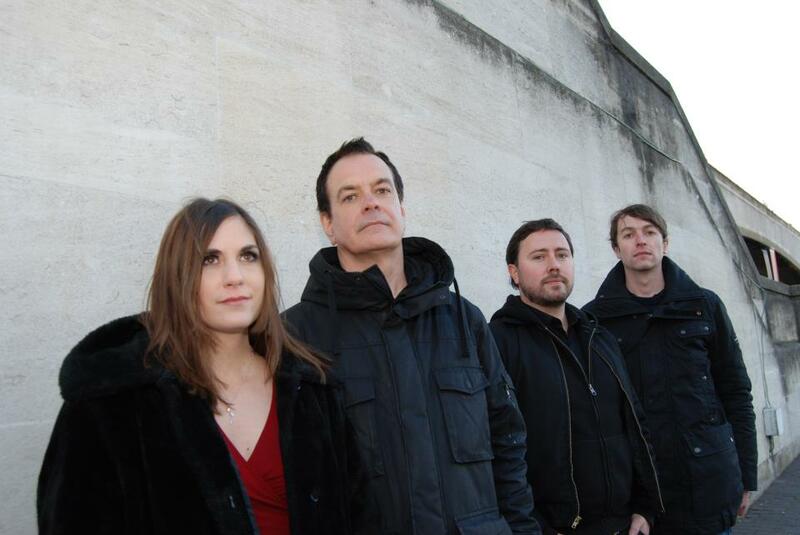 The Wedding Present plays Tuesday night, Sept. 24, at Bi Nuu in Berlin. The show begins at 20.00. This entry was posted in Interview and tagged British, Feature, Interview, The Wedding Present. Bookmark the permalink.